As an SEO in my everyday life I am often confronted with the fruits of labor of my industry. As well as my clients I am a user of the world wide web and a subject of the results of search engine optimization. Lately I have been confronted with a few quests for information about different topics which highlighted the results of SEO as an industry. And as a user I have to say I was not satisfied with the results I was offered. While searching I caught myself refining search queries to exclude specific types of results, ignoring results from the first results page based on certain signals and being generally disappointed by the quality of many results. I have seen so many low quality results it really messed up my search experience. I’m guessing Google noticed this as well and therefore rolled out the Panda update to devaluate low quality content. But Google also started rolling out more features where users can influence result quality. In my experience for the general quality of search results this is a necessary development. And as a user I encourage Google taking these steps. As I mentioned I used certain signals to discover low quality results within the SERPs and on pages I face. Let’s see if these user experience based signals resemble the signals used by Google’s update. Note that these signals are only based on my user experience, for specific queries within www.google.nl. The most important signal for low quality is ironically one of Google’s own products. In my experience pages using Google AdSense often contain very low quality content. It’s kinda logical if you consider how AdSense works. Sites containing AdSense ads need the user to click through to make money. High quality content answers user’s questions, low quality content leaves the user unsatisfied and still desperate for an answer. Chances are higher users will click on ads in the latter type of page. A higher amount of AdSense ads compared to the amount of content often was a prerequisite of low quality. One signal I found striking as a user was the more my search term was represented in the search result, the higher the chance the result was of poor quality. Keywords in titles, URLs and especially domains often signified low quality results, specifically designed to ‘lure’ the searching crowd and make money of them with targeted ads. The opposite was even more true: when a result didn’t contain keywords in either URL, title or domain the underlying page often was of very high quality. When a page ranks for a keyword despite the lack of use of the keyword it has to be very relevant based on other factors, which apparently are better predictors of quality. One thing I specifically noticed on very low quality sites was the crappy designs they used. Although I know design shouldn’t be a predictor of quality, apparently websites that focus on quality content often focus on quality design as well. One aspect of design that really stood out was the lack of images or the poor quality of images on low quality sites. Clearly the time for adding valuable imagery to low quality could better be used to improve the quality of the content. Some other factors I also noticed on low quality sites were small navigational menus or the complete lack of menus, no logical division of content on pages and large amounts of content on pages that do not need large amounts of content. When I look back at all these signals one thing strikes me: low quality sites are easy to recognize for a user. Low quality sites often have technically optimized sites, with keywords in most important places. But they also have crappy designs, lots of ads and a very poor user interface. When it is recognizable for users, it should be detectable algorithmically. Sadly the Panda update hasn’t been rolled out in The Netherlands just yet. Hopefully they got the update just right and they can free me from this poor search experience I am undergoing. It is time! Last note: I started writing this article a few weeks ago when the Panda just kicked in. The specific signals which were used to identify low quality weren’t fully known yet. I’m therefore very delighted to see that the signals I use to identify low quality match most of Google’s signals. As a user I am looking forward to the update in www.google.nl and as an SEO I can’t say I worry about it very much. hehehe good point Adriaan, it’s not on the site though ;). We haven’t made a penny on the RSS ones either btw, so we should really take them down. 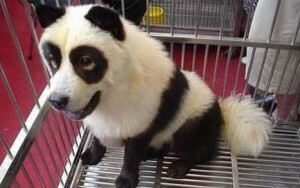 This panda thing have shaken things up..but its for the best because they were trying to get rid of the crappy sites.